THEMIS Image of the Day, January 16, 2019. Today’s VIS image shows part of an unnamed crater in Aonia Terra. The rim of this crater contains many deep gullies. 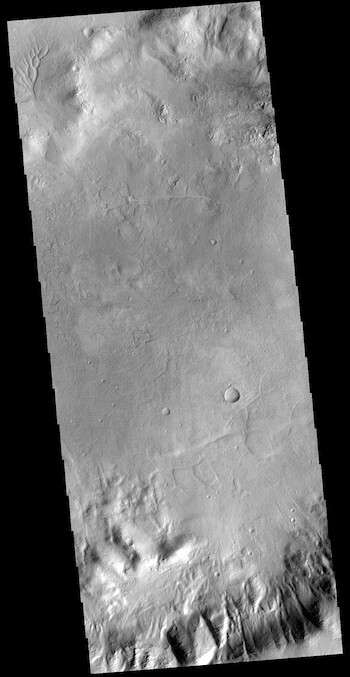 At the top left of the image a channel system is visible on the floor of the crater. This entry was posted in Reports and tagged Aonia Terra, Arizona State University, ASU, gullies, Mars Odyssey, NASA, THEMIS, THEMIS Image of the Day, Thermal Emission Imaging System. Bookmark the permalink.